Hey ladies- did you know GC has it’s own “blow dry bar”? Look no further for a fabulous blowout! I have found an excellent spot. Salon Imperiale at 668 Franklin Ave. When I arrived at the salon, Gino, the owner, was there. He greeted me and took my jacket. The friendly staff was very welcoming. There were clients coming in and out- a true sign of a good business. My stylist, Nicole, did a great job of not getting water in my ears (a pet peeve!) and the water was a good temperature. Once my shampoo and conditioner was finished, I was offered a beverage. Yes, as a matter of fact, I will. Nicole asked me what I had in mind for my blowout. We discussed the details- bangs, the direction of my part, a wave at the bottom… I asked her for something simple- just a casual blowout. I love that she probed and discussed my options. She really paid attention to the small details. Nicole didn’t use any other hot tools aside from a blow dryer, which is great because the other tools can really damage hair. She also gave me some great tips on adding a little bit of volume at the top because the first day of a blowout (for me) can look a little flat. I learned how to properly and subtly tease at the crown so the hair will fall well. She even noticed a wayward curl above my ear that needed some extra attention and told me how to “train” it. Once again, her attention to detail was appreciated. 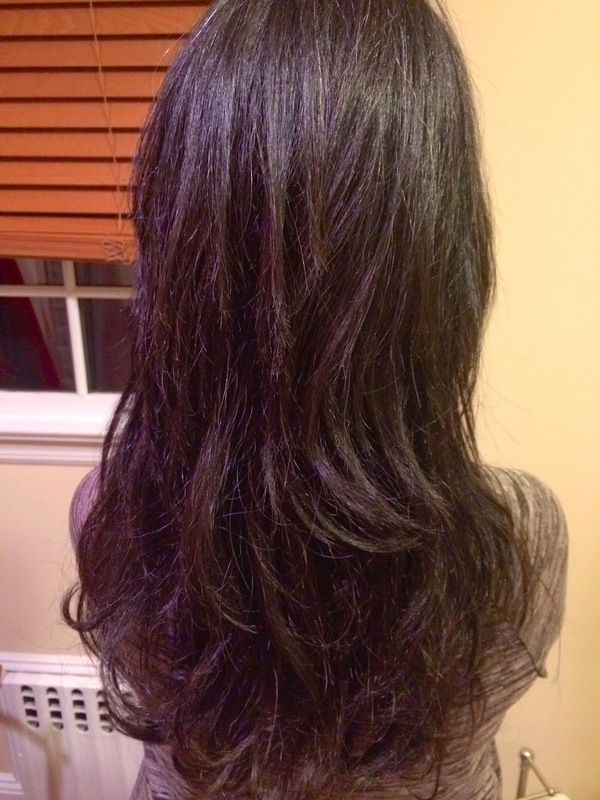 We went light on the post-style products since I wanted the blowout to last a number of days. And it has. All blown out and ready to go!